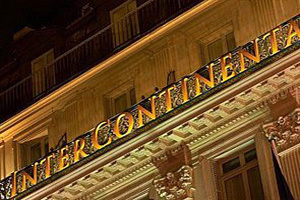 The InterContinental Paris Le Grand is celebrating its 150th anniversary next May, and marking the occasion with a series of special events. The 470-room property, close to the Place Vendome and the Louvre Museum, offers 23 meeting rooms, with a total of 2,260 sqm of meeting space, with the largest space accommodating up to 800 people for a reception. To celebrate its anniversary, the hotel is hosting a series of cultural events in the first of half of 2012, based on the arts of fashion, painting, dancing, literature, film, architecture and music.